im Laufe dieses Themas ist die Idee entstanden neben der Skunk noch weitere Schiffe für den Transport von Marines für das Entern einzubinden und damit die Enterstärke zu erhöhen. Der nachfolgende Mod ermöglicht es daher Marines von der Skunk zu in der Squad befindlichen Schiffen, welche freie Drohnenplätze haben, zu transferieren und natürlich zurück. Bei einer Enterung werden dann Squadschiffe mit Marines berücksichtigt und von dort jeweils ebenfalls die Enterkapseln entsandt. Es ist auch möglich Stationen zu entern, dazu muss aber der Enterbefehl per Konversation mit einem Gefolgsschiffkapitän gestartet werden. Marineoffizier ansprechen und "Truppen verlegen" wählen, es werden nur Schiffe mit Marines/freien Plätzen angezeigt. Das Schiff mit dem MO kann eigene Marinesoldaten haben oder muss untergebene Schiffe mit eben solchen besitzen, im Falle eigener Marines werden die Enterkapseln jedoch umgehend gestartet. Wenn das (Mod)Klasse-M Schiff Styrmir nebst Squad verwendet wird, sollte diese am Besten am Träger angedockt sein, die AI wird alles erforderliche einleiten und nach abgeschlossenem Vorgang wieder andocken. Last edited by Marvin Martian on Sat, 16. Dec 17, 20:54, edited 13 times in total. My native language is portuguese, so I will stay with english, ok? I saw your post about this mod in the CWIR topic... Can you explain better what exactly it does? - It allows to we board and conquer an enemy station now? If so, this is a very good news! - What do you mean here : "optional for a selectable fraction (but have shortcuts for HOA,RC,PMC) "? - If we board and conquer a station, what will happens with police and jobs directed for that station? 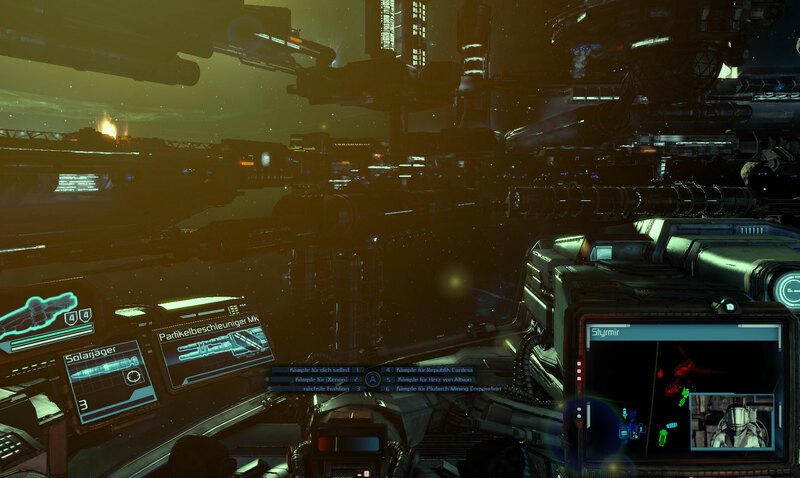 - only the player can board and conquer the stations or npc will do it too? Rubini wrote: What do you mean here : "optional for a selectable fraction (but have shortcuts for HOA,RC,PMC) "? Rubini wrote: - If we board and conquer a station, what will happens with police and jobs directed for that station? 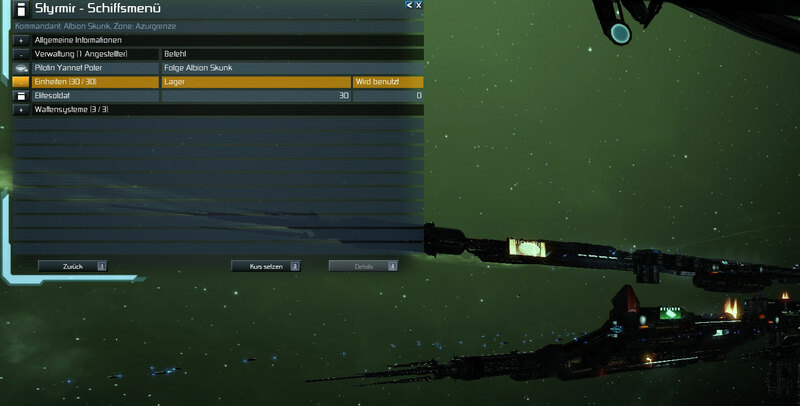 Rubini wrote: - only the player can board and conquer the stations or npc will do it too? chance="if player.primaryship.zone == $target.zone then 100 else 0"
ich werde die Mod auf jeden Fall testen, in Kombination mit der [MOD] Station Engineers (http://forum.egosoft.com/viewtopic.php?t=377068) dürfte es auch für Spieler interessant werden. Yesterday i made some tests with this mod (the 118v and the other one that you send me). It work well, very good work mate! - I noticed that the player needs to have at least one marine inside Skunk to the option "move troops" stay disposable. So, if you transfer the troops (as the mod intend) you will end with zero marines, then you can't move any troop back because the menu is greyed out. - Also could be a good idea to make a small routine (if possible) to make the ships with marines approach the target a bit before release the marines. Sometimes they are very far from the target and the pods needs to fly a huge distance. Not a real problem, but just for immersion. Or vanilla already have a distance limit here? 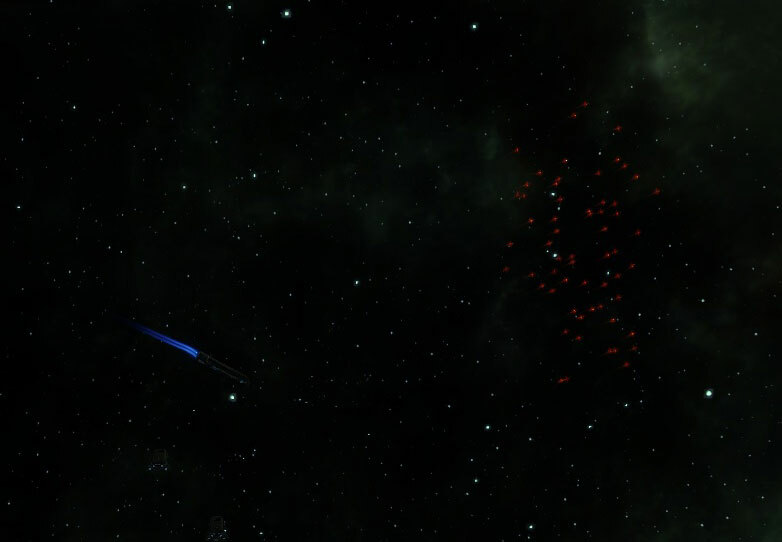 Edited: have not tested the AI npc ships yet. Now i boarded an enemy station for canteran (allied) and works ok too as intend. But i lose my Marine Officer (he was not killed in action, just dont returned to my ship neither stay on the "new" canteran station)...is to be this way? Thanks by the tips. Found him (marine officer) on the "service personal" list. A good idea is to know his name before start the board for another faction. Then will be easy to find him on the list above. Anyhow could be a good touch to try to make this automated by code. Is this possible? Yeah! That small change works! Now the MO goes back safely as it must be! Thanks mate! About recall pods, well, this was an old desire from the community never made by devs. As you is already at the "theme" perhaps you achieve to do it. Crossing fingers! - I will start now to test the npc board in 1.20b. I made a small routine that create a small npc faction invasion force (with marines obviously) at my choose anywhere/anytime, so this really makes the test thing much more easy and productive. - I already said that this mod is just terrific? The script is very well done and it can open a new page on conquer side of the game. Thanks again mate! Just an update on my feedback. 1. I made a new file (adaption of vanilla boarding.xml) just for non player (npc factions) board ships. This way its not needed anymore to dig the entire boardind.xml and all its possibles mods (mods like marine rebalance, board options mod, etc) to adjust it for all possible scenarios. So now all is working correctly and also this way - with a dedicated script - its more easy to adjust board calc (attack strength, marine fight, loses etc) or any other detail for this situation. 2. The 1.20x boarding.ship aiscript have some issues when moving the npc troop ship (boardingship). Sometimes, if enemies are present at same zone, these ships will go more and more far way (withdrawing more and more from enemies) and when the board is finished they are very far from boarded station...suggestions: make the max distances on the calc lower and/or come back to dock at station using boost if distance is for example more than 15km away. Or just use another approach to move them, not using the "go for the opposite direction" script. It is very good but can lead frequently for the situation described above..